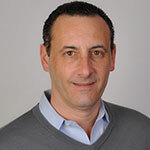 Glenn Dolce has served as Director of Sales for AdMore, the nation’s largest independent automated TV buying platform, since February, 2018. Based in AdMore’s Midtown Manhattan offices, Mr. Dolce is responsible for acquiring, planning and executing advertising agreements with the nation’s top brand marketers and agencies on behalf of the Cannella Media operating unit. He boasts more than two decades of cross-platform experience in advertising sales and new business development spanning television, digital, mobile, out-of-home, video-on-demand and addressable advertising. Before joining AdMore, Mr. Dolce led sales initiatives for New York-based Edge Media Sales, developing integrated advertising and sponsorship opportunities for major multimedia marketers including 1800 Tequila, Applebee’s, Gillette, Hugo Boss, Kellogg’s, Lowe’s, Motel 6, UbiSoft and Walt Disney Pictures, among others. He is particularly well-versed in major sports sales, handling national advertising and sponsorship services for premium sports properties and tours including Premier Boxing Champions, ACC college football and basketball, the Dew Tour, RedBull Signature Series, and ESPN’s The Basketball Tournament (TBT) single-elimination competition between pick-up basketball players. Prior to that, Mr. Dolce spent five years as senior vice president and general manager at LodgeNet Interactive Media & Entertainment (formerly known as The Hotel Networks), which provides linear, on demand and interactive content to more than 7,700 international hotels and 1.6 million rooms and suites. While there, Mr. Dolce integrated LodgeNet’s multimedia offering into the annual broadcast upfront marketplace for the first time, and more than doubled upfront commitments year-upon-year with partners including Capital One, Delta Airlines and Geico, among several others. He broke into the media business with iHeart Media’s New York flagship WOR radio, where he originally developed and sold multi-faceted sponsorships around New York Giants football. He has also served in senior advertising sales roles at AMC Networks and Outdoor Channel, and before that, was an account executive for Outdoor Life Network and NBC Cable Ad Sales, representing CNBC, MSNBC and one of the original combinations of regional sports networks, Prime Sports Network. Mr. Dolce is a graduate of Iona College with a Bachelor of Arts degree in Communications.